news The Federal Government has revealed long-range plans to migrate its public-facing websites to Drupal on a software as a service (cloud computing) basis, in a move which could end up seeing around a third of the government’s 1,200 odd-sites migrated off commercial and other alternatives and onto the open source platform. Drupal is an open source content management framework written in PHP and distributed under the GNU General Public Licence. LIke competing platforms such as WordPress and Joomla, it is essentially a front end with a user-friendly administration graphical user interface which requires a backing database sitting on a web server. It has emerged as a popular CMS platform for government use, with major sites such as that of the US White House using it for their websites. In a blog post published yesterday on the Department of Finance’s website, Federal Government chief technology officer John Sheridan alerted potential suppliers that the Government had decided to standardise on what he termed a “Government Content Management System” or GovCMS for its departments and agencies. The solution the document outlines is for Finance to provide access to a standardised, SaaS-based cloud platform based on Drupal. Migrating to this platform would have the objectives of delivering cost-savings through coordinating activity across government; making it easier for agencies to comply with government policies and standards, and using open source software to share code, modules and applications between agencies. Questioned on the choice of Drupal, which is not the most popular web CMS platform (having been superceded by others such as WordPress), Sheridan defended the choice in the comments field under his blog entry. It is envisaged that of the 1,200 government website tracked by the Department of Finance, up to 450 would be transitioned onto the Drupal SaaS platform within four years under the most ambitious use case scenario, although the most conservative scenario would see much less — up to 200 — transitioned. I have to say that this is a fantastic initiative, and one that perfectly demonstrates what centralised government IT decision-making groups of the kind that Sheridan represents can do when they successfully find that ideal point between government procurement, public interest outcomes, financial savings and wider use and support of community-driven initiatives such as open source software. This kind of thing, in short, is why I like Sheridan so much ;) He always seems to be at the forefront of these kinds of ideas. There are just so many great angles to this. The use of open source software, which, after all, powers most of the Internet at the moment, is a natural fit and will allow cross-jurisdiction collaboration — both, as the documents mention, within the Federal Government but also with other Australian governments such as the states, and internationally with jurisdictions such as the US, UK and Canada. The cloud angle is also fantastic. Every major organisation is currently engaged in putting their public-facing websites onto cloud computing infrastructure from companies such as Amazon Web Services — even the major banks. The Federal Government, with its hundreds of websites, needs a coordinated way to do this. And it means that as traffic grows, the sites will be scalable. Of course, vendors publishing commercial web CMS packages will doubtless be unhappy with the move, as they will now find it hard to win Federal Government work and may lose some existing contracts. But the truth is that much of the web is now hosted on commodity open source software, which is good enough for almost anyone. The Federal Government’s web hosting needs shouldn’t be that complex — FOSS should be more than good enough. If a department has a need for a more complex system which interweaves with internal systems, then sure, look at something more complex. But many Government sites just provide basic public information in HTML, with basic forms and some PDF docs. These don’t need complex IT platforms underpinning them. I don’t like Drupal specifically myself — I vastly prefer WordPress, as I find most individuals do. That’s what I use for Delimiter, and what I will always use. But Drupal is still a very good and user-friendly web publishing system, and one that I tend to find organisations prefer, due to the added flexibility it seems to have in a wide range of use cases. It’s definitely a good choice and one that is largely future-proof. But perhaps the widest benefit here with this move is that it unlocks innovation in every Federal Government department and agency. Right now, if you want to get a cloud web hosting platform migration done in Canberra’s public sector, you need to convince your own group’s CIO, who needs to convince the departmental secretary and so on. Well, things aren’t always quite this onerous, but often they will be. What Sheridan and his team have done here is set a default standard which will allow every department and agency to adopt. They’ve picked the best of all worlds, with a model that will save money, allow standardisation and collaboration and adopt the latest web standards, while also facilitating departments and agencies to better implement web publishing guidelines and best practice. They have empowered the Federal Government IT professional and developer community in a remarkable way with one centralised step, while also meeting the needs of other stakeholders. And that is precisely what they should be doing. This is such a gold approach. It really doesn’t seem to have any downsides and I approve of it highly. I’d like to see similar initiatives in state governments throughout Australia, and this same approach applied to other IT verticals within the Federal Government if possible. Nice work, guys. I’m in two minds about this. I think mandating a platform and standardising is good overall. However, Drupal is a streaming pile, and I would have preferred something with a much more permissive license. They don’t really have a choice there. It’s also going to vastly impact on what sort of custom work can be applied down the track. For a start, not all custom code and modules have to be released on Drupal.org. If you choose to do so, the code should be free. Unlike Joomla!, for e.g., this is true open source. The community contributes code for free, which you can then improve or contribute your own modules for others to use and improve. The money is in the development and maintenance of solutions, not tightly guarding your own code. I agree with Dale Baldwin’s comment. > For a start, not all custom code and modules have to be released on Drupal.org. And down the rabbit hole it goes. So, and specifically in the context of Drupal, how? I highly doubt it will have any impact on custom work other than probably reducing the amount of custom development that needs to be done. The amount of custom work I’ve seen done on vendor CMS based sites that is either standard functionality or serviced by one of the community driven and publicly available API’s built by the Drupal community is quite high so my expectation would be that overall the need for custom development will actually drop considerably leading to cost savings for agencies. >So, and specifically in the context of Drupal, how? Say my agency has built some software that the govt. would like to integrate in one of their Drupal sites – if we were to modify this to consume Drupal API’s our software is termed as being a derivative, and therefor must also be released under GPL. There are integration modules for for Drupal for a variety of commercial services, this doesn’t mean those services have to be GPL. Your software could expose methods and data via REST or SOAP, or some other method, and either use a current contrib module for integration or develop your own. It really isn’t as prescriptive as you’re describing it, your software wouldn’t have to be specifically tailored for Drupal. I’m not sure that’d be a problem anyway as long as it didn’t require Drupal to function. The integration module developed for Drupal would be GPL, but that could be a bonus if you choose to release it to the public, for both your commercial software and Drupal. The GPL is almost irrelevant here. All it asks is if you give a copy of a binary to a 3rd party, you must make the source available to them as well. Not the entire world, just them. So if they give a copy to another government agency they do not also have to contribute it back to Drupal. But in this case, even that is irrelevant. For interpreted languages like PHP and images, when you give anyone a copy you are already giving them the source (assuming it isn’t obstruficated). But even that is irrelevant, as the GPL is only triggered when you give a copy to a 3rd party. You are perfectly without your rights to modify a GPL program to your hearts content and never release the any of source code you change, so long as you don’t give a copy to someone else. So if the government could keep it all in house if they wanted to. Not that they want to. They seem to fully grok open source. >All it asks is if you give a copy of a binary to a 3rd party, you must make the source available to them as well. >For interpreted languages like PHP and images, when you give anyone a copy you are already giving them the source (assuming it isn’t obstruficated). It’s nothing to do with the source (well there is that part of it, but it’s minor), it’s the licensing for the code that is impacted. I’m not against open source – I am all for it, I just wish they would have opted for something _more_ permissive, like MIT, etc. > It’s nothing to do with the source (well there is that part of it, but it’s minor), it’s the licensing for the code that is impacted. You know, it’s possible they might actually like that. As in, if someone else takes there code and adds to it, then the GPL means they get those improvements back as open source. Under the MIT licence they could put any additional restrictions they want. Like Apple does with iOS for instance. Ask the BSD guys how much Apple has contributed back to them, then ask the Linux guys how much Google’s Android team has contributed back to the kernel. It’s no accident Linux gets far more resources throw at it than BSD, even though the various BSD projects are much older. You are right is saying the GPL is more restrictive, but when you are giving your work away for free those restrictions have a certain attraction – they heighten the chance you will get something back in return. You may not find that appealing, but others do. The linking referred to with the GPL is not runtime linking (which is the only way linking works with a scripted module) consuming published API calls in of it’s self will not trigger a GPL violation. There is quite an amount of documentation around specifically explaining why such a use of GPL software would not trigger the derivative clauses. That being said for 99% of government code release to the community (under GPL if required) is not likely to cause any issues at all – and perhaps will get more community involvement in improving the code. I can’t find something specific for Drupal, but in the case of WordPress (also under GPL), they do class it as derivative by way of calling WordPress functions. I guess this highlights another issue I have with the GPL – you need a lawyer to sort all this out. Chad, have a read of this. It even goes into integrating with other systems (point 10). As I’ve previously said, in your case don’t make your software Drupal specific and it won’t be derivative. I think one of the main reasons Finance has picked Drupal is to minimise the amount of custom work departments and agencies have to do. As far as possible, everything should just be “out of the box”. I mean … how much custom work will most of these websites need, apart from themes and content? I also think Sheridan and his team are quite aware of the requirements of the GPL, and in fact willing to contribute back to the community through it etc. It’s all publicly accessible information so there might not be a huge requirement for customisation. Possibilities include the automatic sourcing of data from internal systems or some sort of content repository which may feed a number of sites. This could generally be achieved using existing modules anyway. Theme development could be an interesting one actually, it would be cool to see a theme framework like Omega 4 picked up which would then standardise the use of SASS/SCSS for front end work and also potentially allow for the creation of standard UI rules for whole of government. Drupal superceded? hardly. WordPress is fine and easy to use for basic use cases but the breadth of what you can do with Drupal when you need to is astounding. 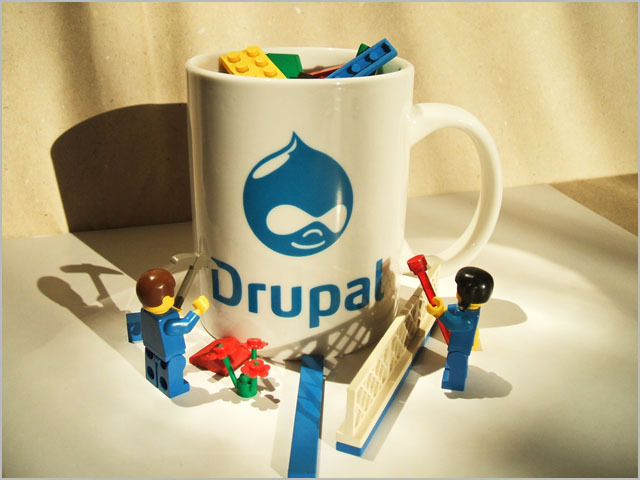 With that flexibility comes complexity but if you need more than a blog based site then Drupal is an excellent choice. As mentioned in the article, I tend to see sites owned by individuals mainly set up on WordPress — a lot of corporates and organisations go with Drupal. Horses for courses. WordPress is going to get you up and running quickly and do a good job for most use cases and so will be used in more cases (until it doesn’t, deciding when you have reached that point is the measure of a true IT professional). Drupal has a much steeper learning curve but can do just about anything, especially considering the number of contributed modules. There will be cases at the low end of the complexity scale where learning and configuring Drupal will be overkill and there will be cases at the high end where WordPress just doesn’t have the flexibility. Both of them will have their uses and neither of them supersedes the other and there is a large area in the middle where both will work well. It was the use of the word supersedes that I was objecting to. Great initiative, supporting a truly open source system. As opposed to the whole AGIMO endorsed, Squiz debacle. Remember that? Good to support local, Australian IT industry. Creating lots of opportunities for professionals and SMEs alike. Lowers the barrier of entry significantly for all. My only concern is that US Company(s) (or other “multi-nationals) will move in and take the majority of the pie. Leaving little for the rest of us. So I’m hoping that preference is given to Australians. And it’s not Microsoft too boot. Win! Good opinion piece Renai and yes, WordPress is a great system too. got a link that explains more ? I had the precise same reaction. Going to have a few CMS vendors up in arms but overall I think this is an awesome choice for Federal Government sites and one that will offer a massive amount of flexibility to meet agency needs. I think it’s best when looking at this to think of Drupal at this point as more of a web development platform rather than a CMS and probably the reason it’s at the top of the Governments list. Watching the Australian Government start to turn more towards open source in general is really encouraging. Setting an example in the same way as the US govt allows for greater overall adoption of not just the software but the _idea_ of not using proprietary. This is exactly the kind of thing the DrupalGov Canberra event this August will be focussing on. The sharing of Drupal ideas/solutions between Government & private enterprise as well as advocating for Drupal as a viable, if not preferred choice for departmental websites. I read this article with glee – a step in the right direction!! A four year window is VERY WIDE. Any indications on a shorter timeframe?